There is little denying the importance of Quebec in the history of hockey. You don't have to be a historian to know that the initial rules were established in Montreal, that the Montreal Canadiens have won the most Stanley Cups in history, and that some of the greatest players ever came from the province, names such as Richard, Beliveau, Lafleur, Lemieux, Roy and Bergeron. Yet, there is little hockey literature, written in English, aimed at detailing Quebec and its ties to the game. 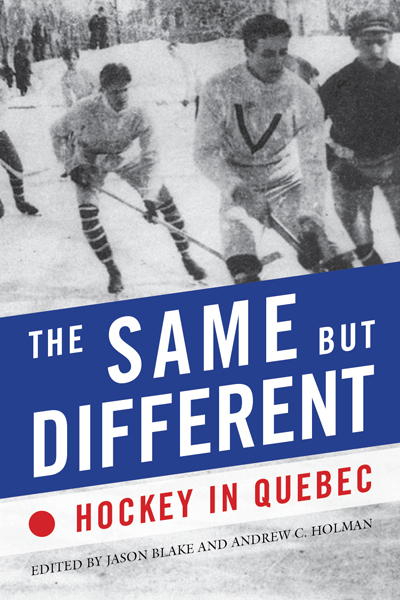 Into that void comes The Same but Different: Hockey in Quebec, from McGill-Queen's University Press, out in August 2017. The book is edited by Jason Blake and Andrew C. Holman, and it's a bit of a catch-all. Officially, the publisher defines it as “Cultural Studies, History: Canada: Quebec, Quebec Studies, Sports & Leisure Studies,” but there's more to it than that. There's early days of hockey in Quebec, right up to recent TV shows about the game. The selections, by a variety of authors, both from in and outside Quebec, are interesting. The editors, Blake and Holman, contribute their own pieces too. The term “academic” will get thrown around about The Same but Different, and understandably so. It's the kind of book scholars love, detail rich, citations carefully noted, and well-written (if not in a mainstream kind of fashion). To understand a bit more about the book, I reached out to the editors, neither of whom call Canada home at this particular moment. 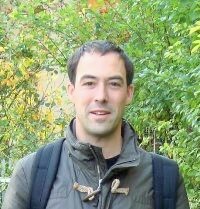 Blake is professor of English literature at the University of Ljubljana, in Slovenia. 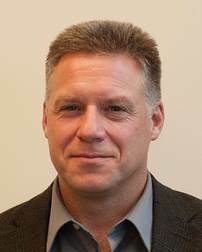 Holman is professor of history and director of the Canadian Studies Program at Bridgewater State University, in Bridgewater, Massachusetts, and known as the editor of Canada’s Game: Hockey and Identity, the 2009 book that is along the same vein at The Same but Different. 1) How did you go about choosing the essays? Were they all newly-commissioned, or just some of them? Jason: We put out a call for papers in French and English in hopes of getting a range of topics covered. Luckily, there was little complete overlap, even though the chapters generally inform or comment on each other. For example, the masculinity that Andy covers in his chapter on the Depression League re-emerges in Amy Ransom’s chapter on the inimitable TV series He Shoots, He Scores (Lance et compte). Similarly, Emmanuel Lapierre’s chapter on the Montreal Canadiens and the sense of self and community is a crucial background for Julie Perrone’s chapter on memories of the Montreal Forum and for Fannie Valois-Nadeau’s chapter on hockey philanthropy. As a lit guy, I was particularly happy to see a literature chapter that focuses on hockey on the stage – i.e. Frazer Andrews’s consideration of two bilingual plays. I’m sure Andy was happy to see a fairly thorough chronological overview of hockey in Quebec – from its early beginnings at the classical colleges, through the Depression League, and up to the discussion of the ferocious Nordiques vs. Canadiens battles. 2) How did you spread the word within the academic world about the project? 3) One of the things that sets it apart from a non-academic book is the way that writers often refer to other essays within the book. Did every author get to read every other author's piece, or was it select? Jason: The point of the book was to have the papers work as a dialogue with one other, not least to show how hockey culture permeates and informs different aspects of life in Quebec and the rest of Canada. In the editing process (as well as in the process of translating two of the chapters), we looked for natural connections. In the end, the problem was limiting the cross-references to other chapters! If you’ll allow me a little peripheral commentary: a great way to see hockey’s omnipresence in Canadian culture is to return from abroad after a while. I am amazed at, for example, how many “random” hockey sticks one sees in advertisements for, say, banking. There are, of course, the Tim Horton’s ads that ramp up the hockey connection, but think, too, about politics: during the last two federal elections, hasn’t every party leader photographed wearing a hockey sweater? 4) Were there other aspects of Quebec's unique hockey culture that you wish could have been covered? Andy: We really wish we could have included more material on women’s hockey, especially because of the more recent successes of women’s university hockey and the triumphs of the Canadiennes / Stars de Montreal in the Canadian Women’s Hockey League and the Clarkson Cup. Also, Quebec was a place where the some of the first court cases challenging the old CAHA custom of not allowing girls to play on boys’ teams came forward – I’m thinking of the Françoise Turbide case in 1976, when the Quebec Human Rights Commission intervened to overturn that CAHA/Quebec Hockey Federation tradition and allow her to play – and where elite women’s club hockey (like Montreal’s Le Titan and Quebec City’s Belvédère) among francophone women first started to take off in the 1970s and '80s. There are many stories along those lines that have yet to be told and analyzed fully. Also, we would very much have liked to include more material on First Nations hockey in Quebec. The Kahnawake First Nation, for example, has a long history of fielding teams in Montreal city leagues and producing the some exceptional players like Bobby Simpson and René Boileau. Again, there are a lot more hockey stories in those areas that need telling. 5) As neither of you are currently based in Quebec work-wise, did that affect your thinking at all? Andy: Great question. It is more than a little intimidating to write about Quebec from outside of the province, even if we were each situated in English-speaking Canada. It’s not so much about “turf”; and it’s not as though we feel that some topics are not fair game, or open to anyone to take on. Not at all. It’s more a matter of feeling like you don’t have your fingers on the pulse. When you live “away” – whether that Massachusetts or Slovenia or Timbuktu – you don’t. You always feel a step behind. Jason and I each keep in touch with the discussions and currents of thinking about hockey in Quebec by reading online newspapers and weblogs in French and English, and by speaking with our friends there. And by visiting occasionally. Consequently, I worry a little a bit about our work arriving in print already out of date; in part because the process of publishing in academia takes so long, but in part because of the cultural lag, too. 6) Who do you see as the target audience for the book? Jason: We have tried to keep jargon at bay, so the book should be fun reading for everybody, from academics engaged in Canadian studies and sports studies (especially those who don’t read French), to hockey fans who may be receiving only half of the Canadian hockey story. 7) Are either of you working on further hockey-related projects? Can you share what that might be? 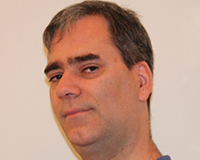 Andy: I’m compiling, editing and annotating a book of primary-source records on hockey in Canadian history for the Champlain Society in Toronto. I have a contract with them to complete the book and submit it for publication by 2019. It’s called Hockey: A Canadian History in Documents. It’s a ton of fun – lots of poking around among old dusty records in the archives as well as scouring the documents available online. Writing the annotations are fun because it involves old-fashioned historical sleuthing – trying to find out all the details you need to put historical documents in the context of the times. Even though the documents are all organized chronologically and, to some degree, thematically, I’m hoping it’s going to be the sort of reference book that anyone can pick up, open to any page and find some fascinating material about the sport’s history. 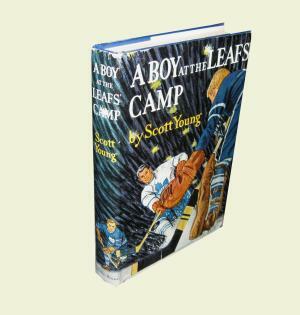 KEVIN SHEA, author of countless hockey books: A Boy at the Leafs Camp, Scott Young’s 1963 fictional account of a rookie finding his way through a challenging training camp and going on to be the hero was the first hockey book I ever received, a gift from my parents at Christmas 1965. I was already hockey-crazy, but this book further fuelled my passion, both for reading and the Toronto Maple Leafs. It’s not the best hockey book I’ve ever read, but certainly my favourite for sentimental reasons. Stephen Laroche, author Changing the Game: A History of NHL Expansion: Recently I was re-reading Eric Zweig's Art Ross biography and thoroughly appreciated the amount of research that went into it. His passion for the subject matter came through strongly and I usually love books covering the pre-Original Six era (with the exception of Stephen Harper's book, which I felt was a bit dry). It was reminiscent of the books on Cyclone Taylor and the Patrick family that Eric Whitehead did back in the 1970s, which are two more of my favourites.